Employment Insurance Options: Do We Really Need More? The government continues to expand the Employment Insurance (EI) benefits available to Canadians, most recently to enable workers to take training supported with the new Canada Training Credit. But, when statistics show that EI take-up rates are on the decline*, are increases in EI premiums warranted? These proposed new costs, which come at a time when CPP premiums are also rising and carbon taxes are in full effect, combined have an event more significant impact on taxpayers and businesses. Advisors can help, to ensure their clients better manage debt and investment opportunities before the slated increases. 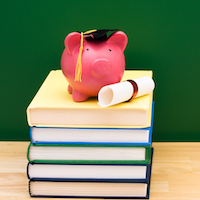 It’s also important to help clients understand the very complicated, but arguably minimal Canada Training Credit and associated EI benefit that was proposed in the March 19, 2019 federal budget. It’s a provision that’s generating a lot of controversy – including in comments from readers on our April poll (please do weigh in!) which is focused on this subject. It remains to be seen if this initiative will encourage Canadians to enhance their employment training, as both the tax credit and EI benefit offer limited support. Even if take-up for the program is low, the fact that the implementation of the Canada Training Benefit will cause an increase in EI contribution amounts for all Canadians whether they take advantage of this opportunity or not, has largely been lost in the budget coverage. It’s an increase that will also apply to employers, and this could place particular strain on small businesses. Despite a promised rebate, details are yet to be clearly defined by the government. All we know so far is that businesses who pay EI premiums of $20,000 or less will be eligible for a rebate of an unspecified amount. The proposal for this new training benefit follows the recent implementation of the new EI Extended Parental Benefits. It’s an optional benefit that could have financial consequences that also merit discussion during the financial planning process. Under the pre-existing rules that are still available, parents can take up to 35 weeks of total leave (either shared between them, or taken by one parent) at 55% of their income. The Extended Parental Benefits allow parents to take up to 69 weeks between them; but there’s a catch. If opting for the extended option, benefit amounts received are only 33% of average weekly earnings. Ultimately, this means that parents collect the same amount of money out of the program, just over a longer or shorter term, and it’s a choice that may not be financially sustainable. What else is available under the EI program? Regular benefits (following job loss) - the basic rate for calculating EI benefits is 55% average insurable weekly earnings, up to a maximum amount. As of January 1, 2019, the maximum yearly insurable earnings amount is $53,100 for 14 weeks up to a maximum of 45 weeks. Sickness benefits – available to a maximum of 15-weeks at 55% to a maximum of $53,100. Caregiver benefit (when caring for a critically ill or injured person) – maximum weeks payable range from 15-35 weeks, depending upon the circumstances to a maximum of $562 per week. There are also optional benefits for the self-employed (including fishers) – which we will outline in an upcoming article. Advisors, in light of these changes, individual and business clients need your help to navigate the complexities associated with collecting and contributing to EI programs. *Government of Canada statistics on EI take-up rates. 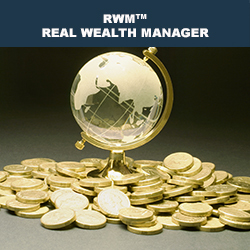 Additional educational resources: Become a Real Wealth Manager (RWM™) and provide the guidance needed using a holistic, multi-faceted approach. Changes from the federal budget will also be discussed at the Spring CE Summits. Register by May 15.